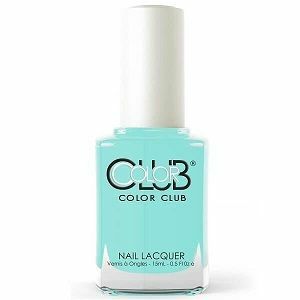 Color Club Nail Polish, I'm Outta Here, 1225, .50 fl. oz. Very bright, almost neon, aqua blue creme nail color.